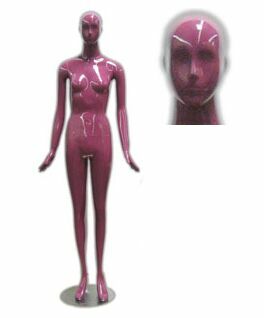 Fashion mannequin with face features, bold head. Detachable arms, hands and torso make them easy to dress. Wig sold separately Color: glossy purple.